The largest and most affordable Online Children's Bicycle Trailers Shop! Children's Bicycle Trailers shop the largest and most affordable! Do you want to buy a Children´s Bicycle Trailer online? 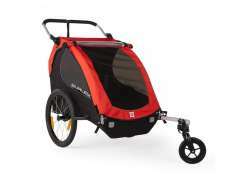 Hollandbikeshop.com has the Children's Bicycle Trailer you’re looking for. 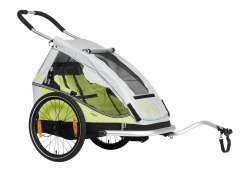 The children's bicycle trailer has already proven to be a great way to transport babies and toddlers. Cycling with a bicycle trailer may take some getting used to. But by fixing a bicycle trailer to the back of your bike, you can safely and comfortably take your children anywhere. A bicycle trailer can be used from the moment your child is able to sit upright, and most bicycle trailers have special baby seats available. 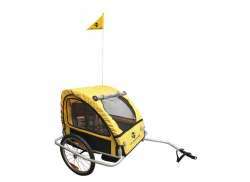 Bicycle trailers are suitable for transporting children under 7 years old. 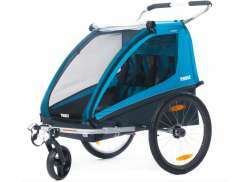 At Hollandbikeshop.com you can find a wide choice of Bicycle Trailers for Children from brands like Blue Bird, Thule Chariot, Croozer, FastRider, Instep, Kid's Touring, Twinny Load and XLC. 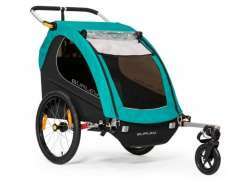 In our wide Bicycle Trailer range on Hollandbikeshop.com you can find Children's Bicycle Trailers in various colors, sizes and models, like the Children's Bicycle Trailer suitable for 1 or 2 children, or a bike trailer that can be converted into a buggy. 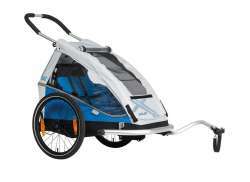 You'll surely find the Children's Bicycle Trailer you're looking for. 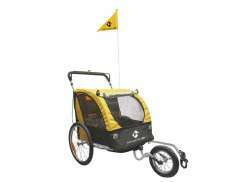 Hollandbikeshop.com is dealer of Children's Bicycle Trailers and has a large and affordable range. 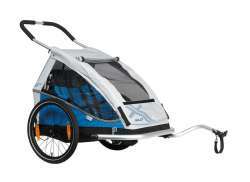 We also often have Children's Bicycle Trailers on sale or in our outlet, so keep an eye on our sale button. The largest and most affordable Children's Bicycle Trailer shop!